Marama Ingle — DARGAVILLE ARTS ASSOCIATION INC. Being born into an artistic environment with both parents actively working with their natural talents, well-known local artist, Marama Ingle, couldn’t help but develop a personal flair for creative endeavours. Born in Dargaville in August 1927, Marama showed her talent from an early age. Pictures drawn as a 9 and 10 year old show she had a natural eye for proportions and balance, with a penchant for detail that most non-artistic adults only dream of achieving. 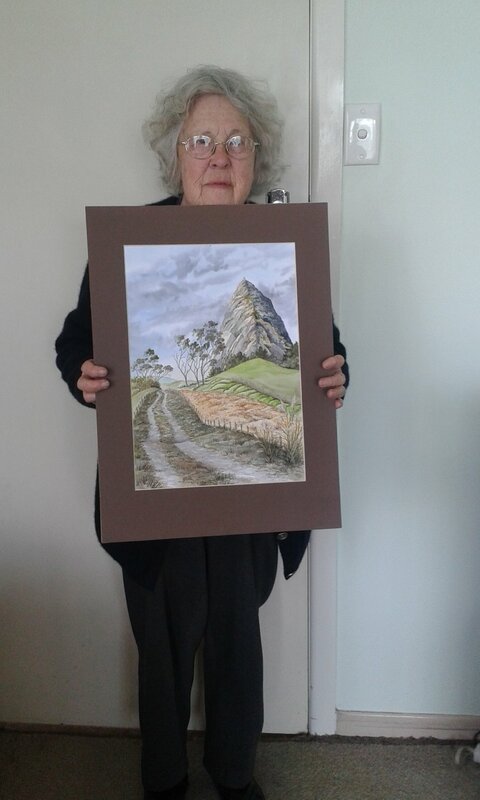 Marama has painted hundreds of pictures, including old houses, trees and landscapes, and is well-known for her sepia-toned sketches of houses. Working from sketches and photographs, she painted them in her style of making them appear older and almost derelict. Marama is a life member of the Dargaville Arts Association Inc. These works are from Marama’s exhibition at the Muddy Waters Gallery “Landmarks of the Northern Wairoa” which was exhibited in December 2018 and January 2019.